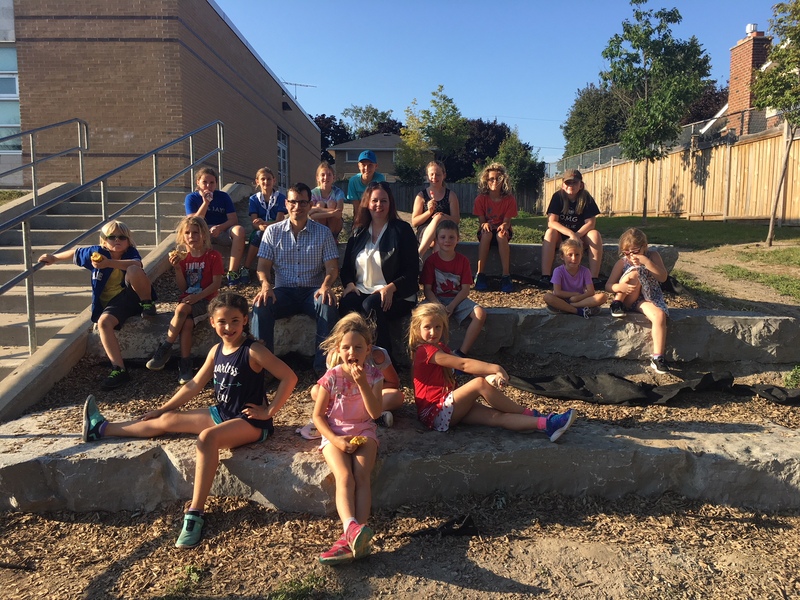 (Sept. 19, 2018) - St Joseph school on Parkway Crescent in Clarington was looking for rocks and boulders for their natural outdoor playground, and they did not have to look far. Over the summer, while students were on holidays, massive rocks, it total weighing over 100 tons were provided by St. Marys Bowmanville plant and delivered to the site by Stonescape from Buckhorn, Ontario. The official playground opening was marked with a BBQ for students and parents and a ribbon cutting ceremony. St. Marys Cement Inc. is a leading manufacturer of cement and related construction products in Canada and the United States. Headquartered in Toronto, Ontario, Canada, St Marys Cement Inc. supplies cementitious materials to the Great Lakes Region and is also a significant producer of concrete and aggregates for the Ontario market. The Bowmanville Plant was established in 1968.